Welcome to Stokenchurch Primary School science day live blog presented by the one and only Mr Wonka! 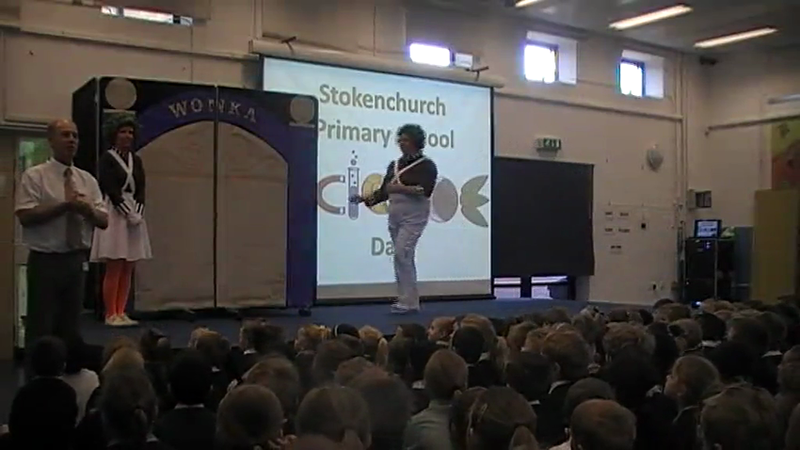 Well... really it's presented by the children and staff of Stokenchurch Primary School but Mr Wonka is taking over for the day! 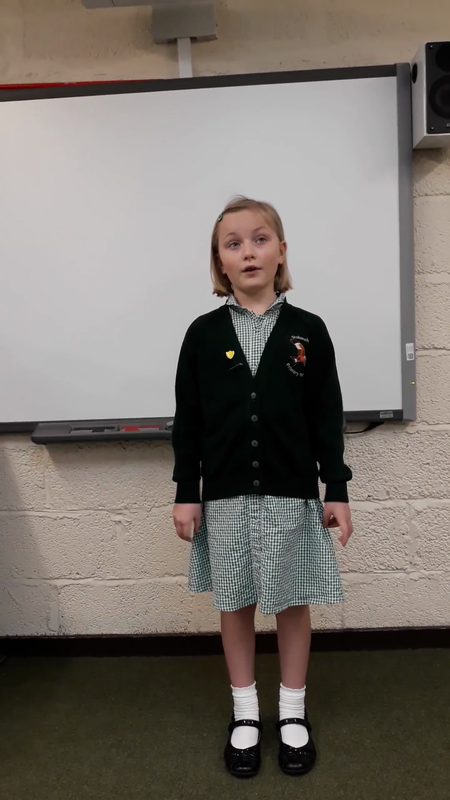 Please read, and view, onwards to enjoy a taste of the wondrous, splenderrific and altogether stupendilliant scientific adventures that the pupils of Stokenchurch are experiencing today at school ! 9:00am - Mr Wonka makes an appearance himself to introduce the day and the range of experiments and challenges that he needs the help of Stokenchurch Primary School pupils to complete. Without the help of everyone he may not have enough new products and exciting factory tour ideas to open a new chocolate factory in Stokenchurch! 10:00am - Mr Wonka has set important challenges for all - even for the youngest within the school! 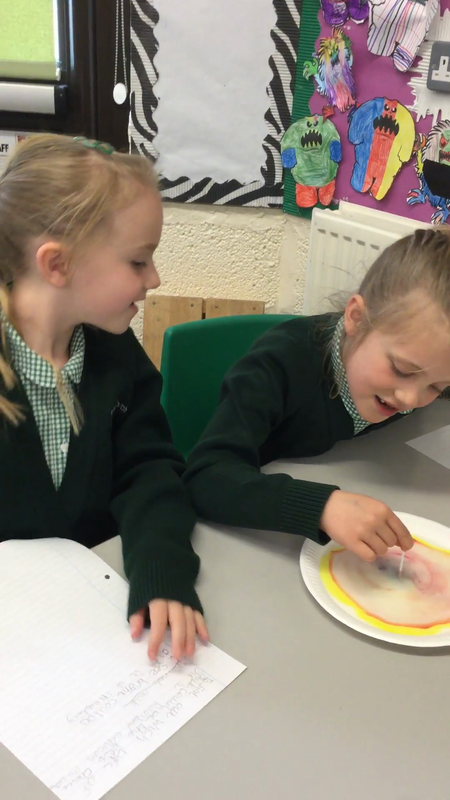 In F1 pupils are exploring fizzing and whizzing drink ideas through some important observational science. Mr Wonka hopes they pay close attention to the fantastic reactions and let him know if they're exciting enough! In F2 and Year 1 pupils are helping Mr Wonka prepare for his new factory tour. Everybody knows a chocolate factory tour isn't complete without a boat ride across the chocolate river. Mr Wonka needs to make sure that his new tour boat is made from the right materials, so as to not sink, and have another Augustus Gloop incident! 11:00am - Mr Wonka is really focused on developing a range of new drinks for his Stokenchurch factory to produce. Fizzy drinks just aren't enough! 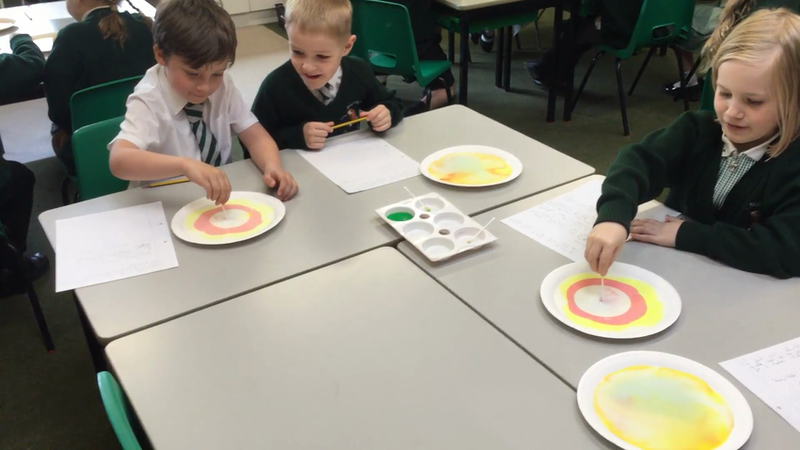 Hopefully Year 2 will come to the rescue - they're investigating swirling colours in different kinds of milk to discover the perfect rainbow milkshakes that will surely take the world by storm! Not many people really associate Mr Wonka with healthy eating. That's quite a fair judgement with all the sweets and chocolate! He has however bought huge supplies of fruit and once all the natural sugar is extracted he finds himself in a bit of a dilemma as to what to do with all the leftovers! Someone once told him that lemons could be used as a power source to light LEDs... surely not. 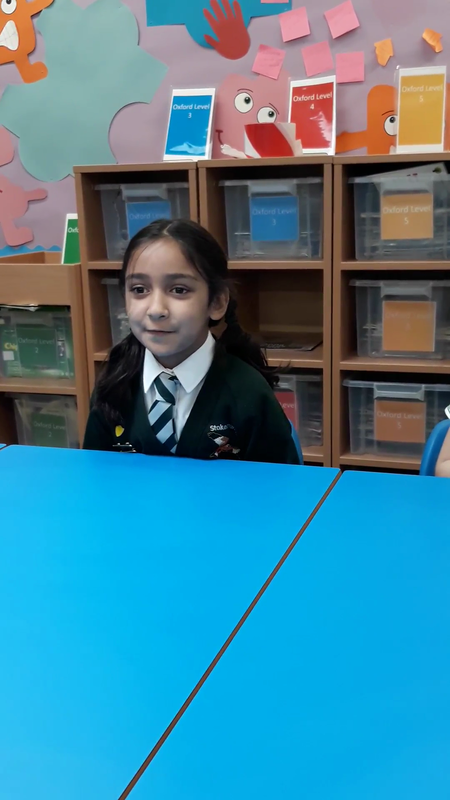 It sounds like it's up to year 4 to devise an experiment to cut through the nonsense and see if Mr Wonka's new factory truly could be entirely lemon powered! 12:00pm - Mr Wonka has heard that the pupils in year 5 are not just superb scientists but potential future engineers as well. He has set them a task fitting to such intellect! Design and build a prototype boat/raft to carry all his factory visitors across the chocolate river. The boat must be sturdy, it must be well constructed, it should hold as much weight as possible and most importantly... it should probably float! Pupils will have to be careful though as Mr Wonka spent an awful lot of his money on lemons for some odd reason and pupils will have to work to a tight budget as they design their vessels! Year 6. The oldest pupils. Most responsible. Most experienced. Mr Wonka has decided they should work with explosions for the day... he is an eccentric genius remember, I'm sure he has thought this through! Mr Wonka has decided that it's unfair that grown ups get all the fun with corks exploding from bottles with some of their drinks. Pupils will need to devise some meticulous testing methodology so they can create the most explosive effect for Mr Wonka's new fizzy drinks. 2:00pm - Now it's time for pupils to present their findings! Mr Wonka is visiting each and every year group to hear how they get on and discover if he really will be able to open a new factory in Stokenchurch! 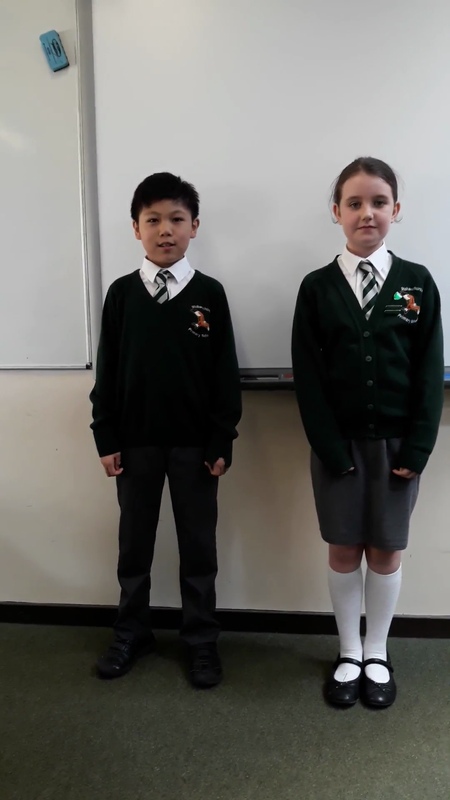 Pupils are reporting through a range of methods including: postcards, letters, comic strips, recipe guides, live commentary presentations, labelled diagrams and many more. Science doesn't always have to be about writing reports! 3:00pm - Time to finish the day with a bang! Mr Wonka is passing the pupils to some other visitors to the school for an exciting end to the day. 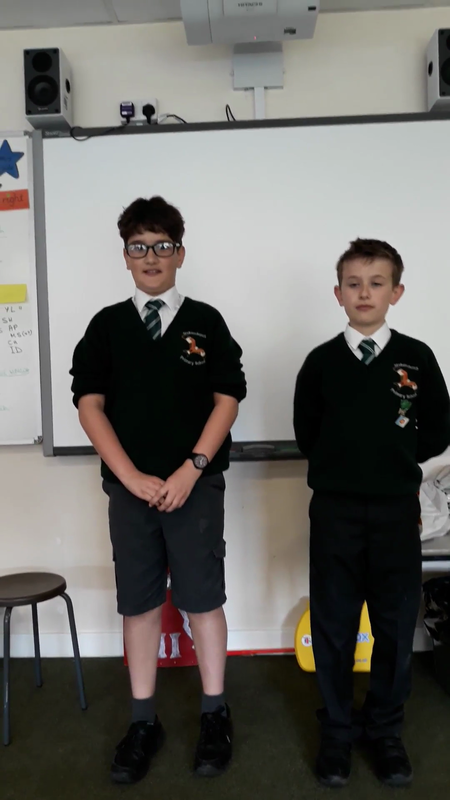 Sublime Science (Winners of BBC's Dragons' Den - https://www.sublimescience.com/) have come to visit and are providing an assembly to remember.